Being a UK beauty blogger has it's benefits we have Boots, Superdrug, Charlotte Tilbury but there are definitely some brands that are sadly missing. One of these is Tarte. 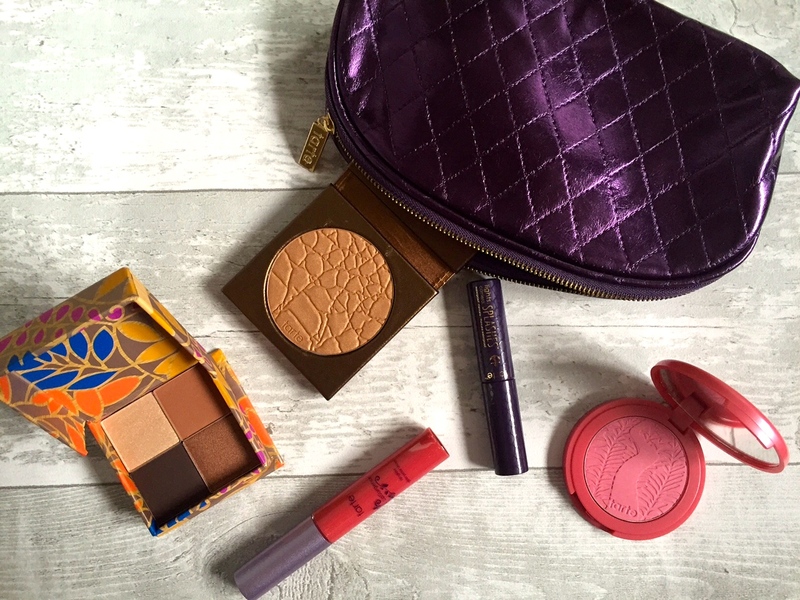 I haven't really tried many tarte products as it isn't easy to get hold of here in the UK so I decided to get the Full Face of Gorgeous Color collection from Sephora to give me a little taster of all things Tarte! You can buy most of these items separately (click on links above) but this set was $49 with a $120 value- a great way of trying out the products on a budget. This is a little quad palette with the eyeshadows: Golden delicious, Caramel, Gala, Honeycrisp. On first swatch these eyeshadows are very pigmented, especially the matte shades. This is a lovely little quad for travelling with as it contains your perfect brown smoky eye. I would use the 2nd shade all over the lid, the 4th shade in the crease, 3rd shade along the lash line and the 1st shade in the inner corner. On first impression I really like these shadows and would like to try one of the full palettes. Do you have any recommendations? There are 15 shades in the 12-hour Amazonian clay blush collection and the one featured in this set is fearless. This works out around £19 in the UK which I think is rather expensive considering the Mac ones are £18.50 and the Nars blushes £23. 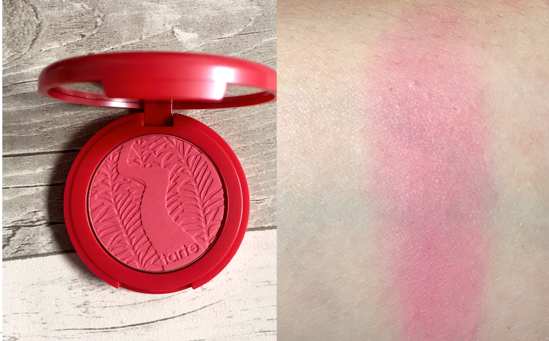 I do really like this blush but I'm not sure if it is worth the price tag. I think you can get a lot of brilliant budget blushes now, particularly the Max Factor creme puff blushes for only £8.99 and they are on 3 for 2 at boots. I will keep testing it out and let you know my thoughts. Now don't get me wrong, I do love lip glosses but I'm definitely more of a lipstick girl. 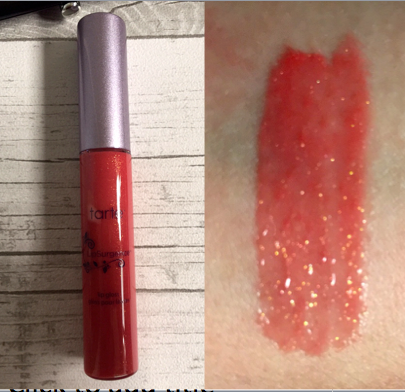 This gloss is in the colour fearless (the same as the blush). This is a pretty pinky, glittery shade that would look lovely on bare lips or over a lipstick. It is a little sticky for my liking but it has a good shine and a good, flat applicator for applying the gloss. This is actually a waterproof shimmery bronzer. It also comes in a matte version here, which I would probably prefer but this one is very pretty. I would use this on days where I can't be bothered to highlight, bronze and blush and use this to do all three. It is very shimmery but blended out can give you a lovely summer glow. I definitely think it is more of a summer bronzer but it is a lovely golden colour which is very pigmented. Have you tried the matte version? What do you think?